This week we are going to try something a little more indulgent. But still so easy to dress up or just to enjoy as it comes. Chocolate mousse is universally acceptable as a pudding either for a family meal or dressed up with extras for entertaining. 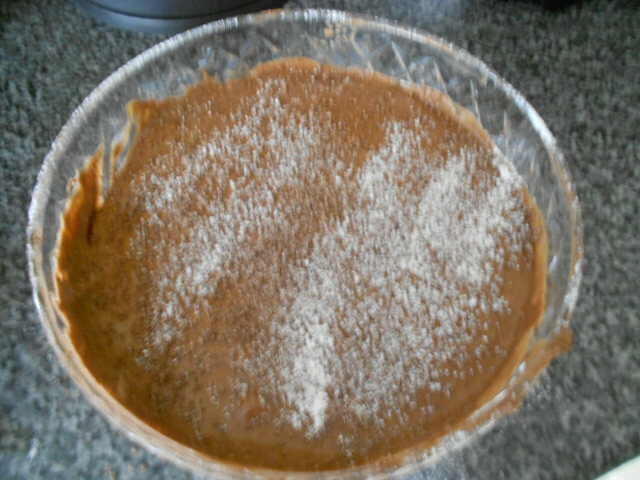 I made this mousse thanks to my close friend Becky who had tried it before. Both her family and mine were equally rapturous about it. The basic mousse is straight forward and I will give you that recipe, what you add in is entirely up to you and who you are serving it to. Chocolate – I used a 70% but above is even better if I can get hold of it. A whole bar! These are the basic ingredients- you can choose all different extras to add in depending on your guests. Try replacing the hazelnuts with almonds or walnuts again chopped and roasted, Glacè cherries or small peices of dried fruit or ginger. This is your mousse add what you want. Break your chocolate in to small cubes and put in a bowl with a pan of boiling water underneath it. Do not let the water bubble over the sides but keep on a medium heat while the chocolate melts. 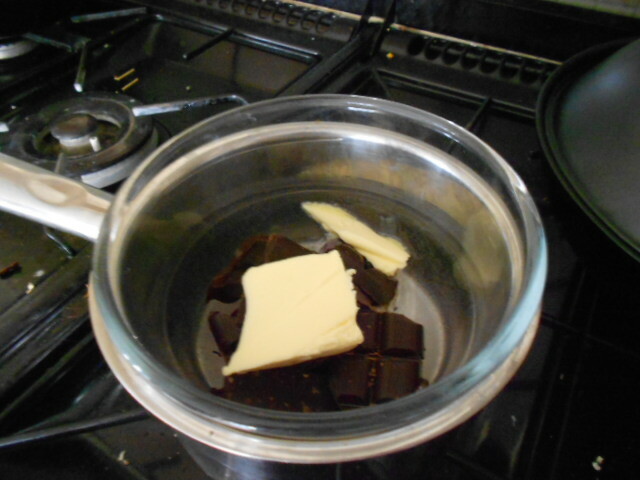 Add the butter when the chocolate starts to melt. Also this is the time to add your baileys, liqueur or flavouring. Meanwhile you can be whisking the egg whites till they stand with their peaks up and then whip the cream to the same consistency. 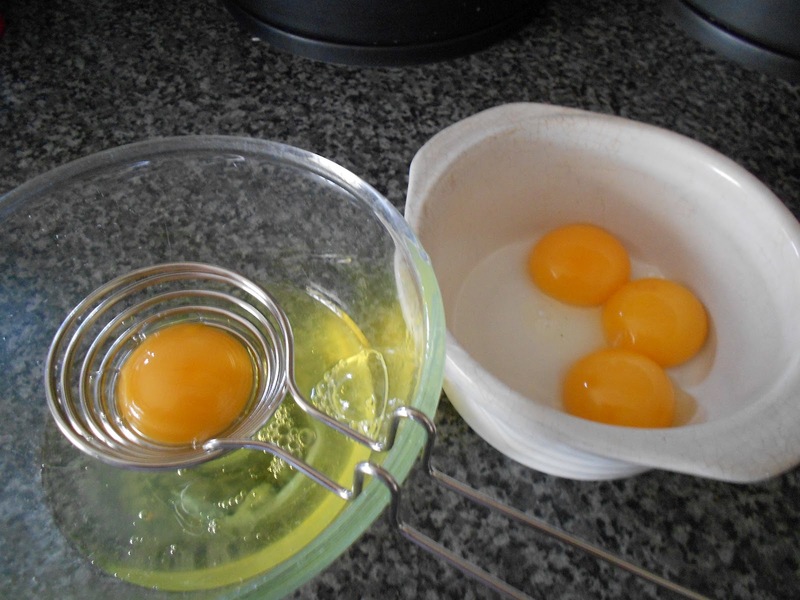 Stir in the egg yolks and icing sugar into the chocolate mixture. 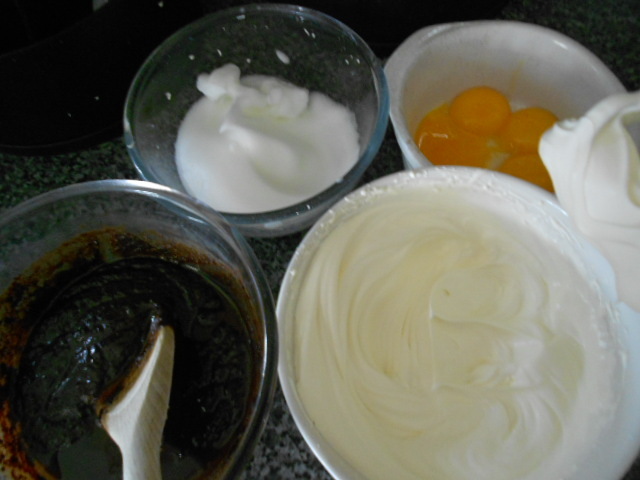 Carefully fold the cream into the chocolate mixture. A wooden spoon is good and if you fold slowly and deliberately in wide turns you will mix all the mixture. This is when I added nuts; you could add chocolate drops, cherries or fruit now. 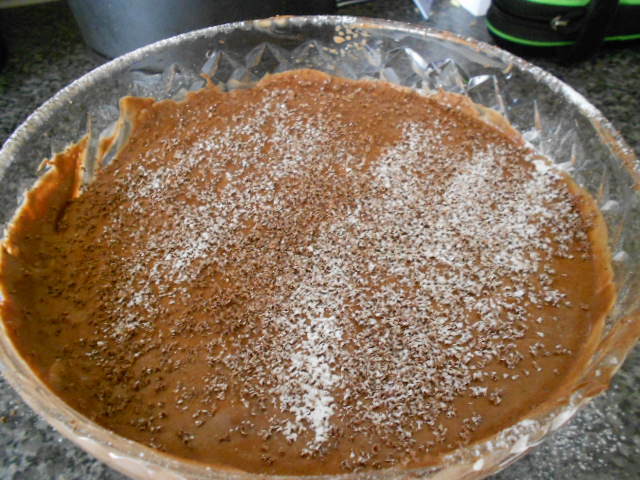 Gently transfer to serving bowl and decorate with icing sugar and the grated chocolate. If you have mint baileys a mint leave or sprig would be good. You can leave the decorating till you are about to serve but if you are grating the final chocolate square – hide it well or it will disappear! Leave in the fridge to set for several hours; if you can prepare the night before even better. Make sure you cover with a tight fitting cling film or you will be serving it with finger sized holes! Serve alone or with shortbread or ameretti buiscuits . This pudding does not require extra cream but I leave that to you. This is not a diet aid, replacement or anything other than pure indulgence and should be treated with the reverence this commands. Enjoy and make sure you tell me how you get on and what you added to make it your own. To leave a comment you will need to join my site but please do I want to hear your comments.